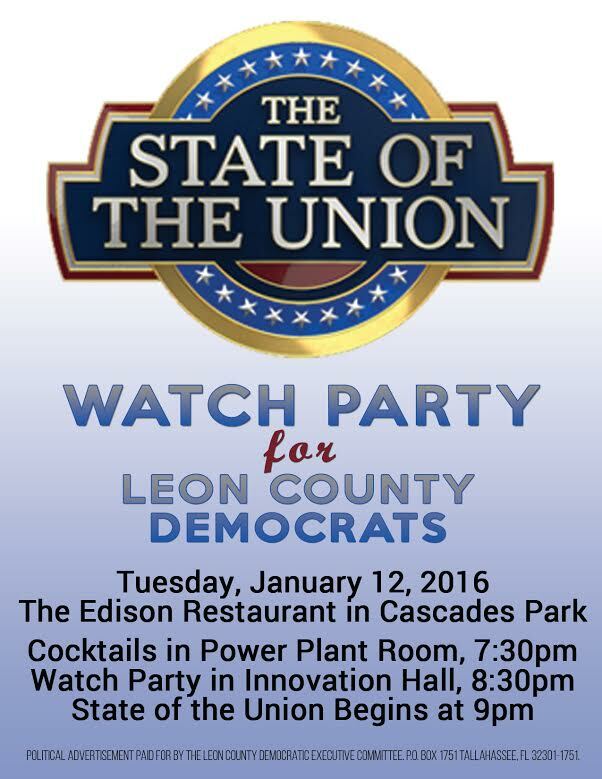 The Leon County Democratic Party will host a State of the Union Watch Party at The Edison Restaurant in Cascades Park on Tuesday, January 12, 2016. A cocktail social will take place in the Power Plant Room beginning at 7:30pm, followed by the Watch Party in Innovation Hall beginning at 8:30pm. The State of the Union begins at 9pm.